Hardwood and laminate floors add a classic, timeless beauty to your home, but thoroughly cleaning them can be a challenge. Sweeping and mopping work fine to a point, but eventually you need something more intensive. Fortunately, Steam Plus Carpet and Floors, serving the Madison area, is here to help! We have a comprehensive system designed to thoroughly clean—and even restore—your hardwood and laminate floors to their original beauty. We offer three levels of cleaning and restoration, so you can choose what works best for your needs and budget. 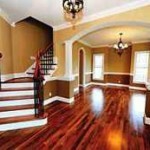 All of our laminate and hardwood cleaning services are low-odor, non-toxic, and completely dust-free. Our deep clean option aggressively removes built-up dirt and dust, hair, and residue from your laminate and hardwood flooring, restoring both their cleanliness and appearance. For floor polishing, we use a revolutionary high-speed rotary brush paired with a proprietary cleaning solution to get rid of even the toughest dirt and buildup. As our floor care professionals clean and service your flooring, all dirt and excess cleaning solution are extracted with a powerful vacuum, leaving your floors clean and dry. Then, we’ll tackle the hard-to-reach areas by hand using a professional-grade wood and laminate floor cleaners (if applicable) to restore the pH balance to all of your floors. If your hardwood or laminate floors need attention beyond an intensive cleaning, our deep clean and refinish option might be right for you. It offers all the benefits of our deep clean service, leaving your floors cleaner than ever, and also refinishes the floor to an even, beautiful sheen of gloss or satin. 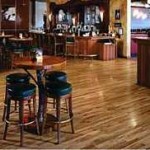 Our expert technicians apply a refinishing coat that protects your floor from wear and dirt and truly makes it shine. When you start to notice wear on your hardwood floors, it’s important to take action—and Steam Plus Carpet and Floors is here to help. We offer a unique dust-free recoating option that starts with our deep cleaning service and ends with a new, protective floor coating of your choice: gloss, semi-gloss, satin, or matte. Applied over your existing finish, this coat is durable and offers protection from everyday wear and tear. 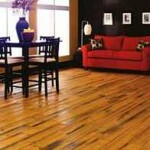 Optionally, we can also abrade your floor to minimize scratches and other imperfections before recoating it. Our dust-free recoating system is a great option if you want to avoid the hassle of traditional refinishing methods. You can expect minimal prep work, virtually no dust or noise, and minimal cleanup. It’s also fast—many of our customers are back to business in as little as one day. At Steam Plus Carpet and Floors, we pride ourselves on providing outstanding service to the Madison area. Our expert technicians provide the high-quality results and professional service you expect and deserve in your home or business. 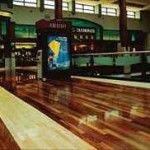 Contact us today to learn more about how we can help you with your hardwood and laminate floor-cleaning needs.